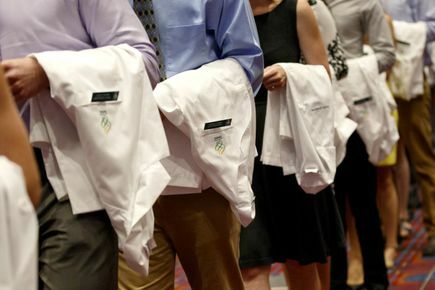 A new group of students will begin their journey toward becoming physicians by symbolically slipping on their white doctor’s coats for the first time at the OHSU School of Medicine’s annual White Coat Ceremony Friday, Aug. 10. DETAILS: David Mansoor, M.D., an associate professor of psychiatry in the OHSU School of Medicine, will deliver the annual J.S. 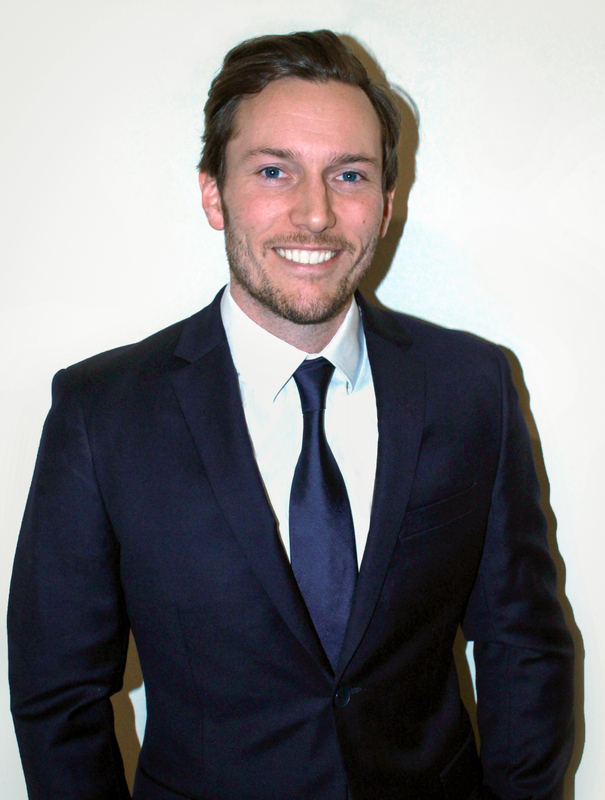 Reinschmidt, M.D., Lecture, which provides a special message to students by a guest speaker. Interview OHSU School of Medicine associate dean Tracy Bumsted, M.D., M.P.H., about the significance of the White Coat Ceremony and what these new students will experience during their time at OHSU. Reporters will need tickets to attend the ceremony. Reporters can obtain tickets by contacting Franny White of OHSU Strategic Communications at whitef@ohsu.edu, 503-494-8231 or 971-413-1992 (cell). 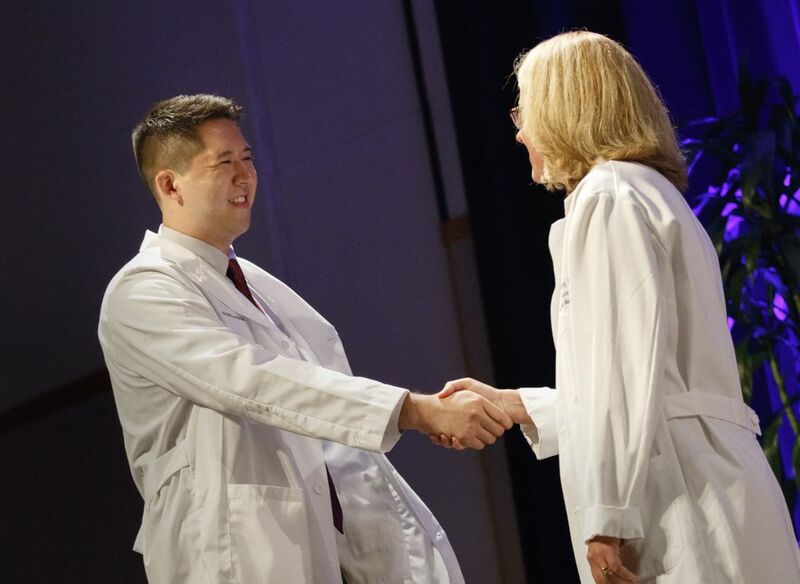 While disrupting terrorist networks during his seven tours in the Middle East as an Army Ranger, Edward Ward discovered he wanted to be a physician. He was serving as an emergency medical technician in Afghanistan when Ward and his squad rushed to rescue a helicopter crew chief who had narrowly survived a mid-air collision and was surrounded by fiery wreckage. Ward was able to see the crew chief again four months later when he went stateside for surgical training. His decision to attend medical school was also inspired by his experiences helping people in rural villages during his various military tours and growing up with a cousin who had cystic fibrosis. 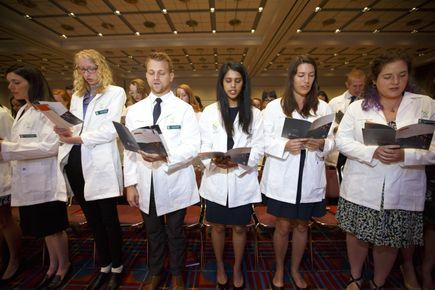 Ward, who grew up in Williamstown, New Jersey, is attending the OHSU School of Medicine with the goal of becoming an emergency or trauma physician. The GI Bill enabled him to earn a bachelor’s degree in neuroscience from Columbia University, making him the second in his family to attend college. Now, he’ll be the first to attend graduate school. Raised by a Mexican immigrant mother and a Corvallis-born father in a small community outside of Portland, Cassandra Kasten-Arias saw her Latino family and friends struggle to navigate the health system. “Many of them faced language, cultural and financial barriers” said Kasten-Arias, who often served as an unofficial interpreter at medical appointments for family and friends while growing up in the unincorporated Washington County community of Aloha. She further saw the need to help immigrants better access health care as a student of biology and Spanish at the University of Portland. 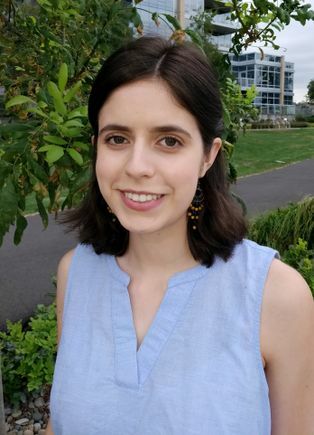 She participated in service-learning opportunities at the U.S.-Mexico border and in the agricultural town of Yakima, Washington, and also volunteered as a Spanish medical interpreter at her church’s monthly clinic and the Southwest Community Health Center in Hillsboro. Kasten-Arias is interested in becoming a primary care physician who cares for marginalized communities such as immigrants and those with limited English proficiency. 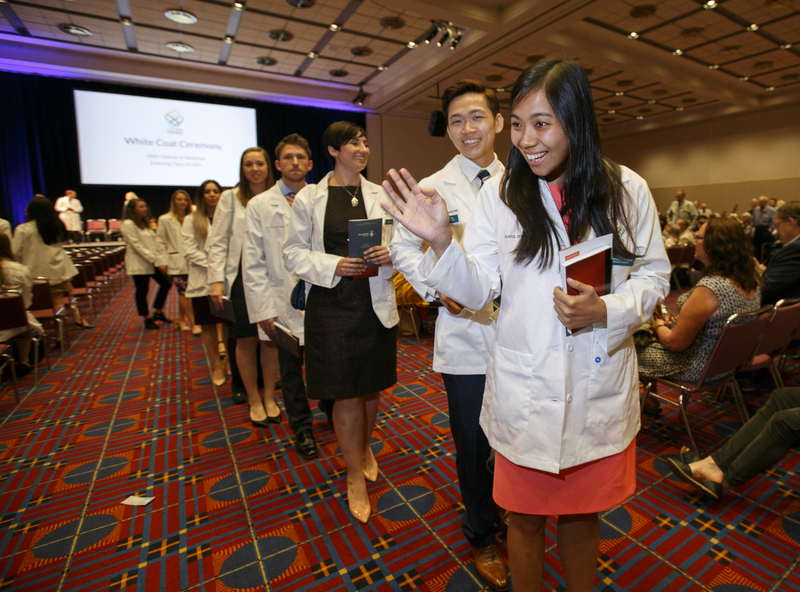 She’s receiving a full scholarship through OHSU’s Scholars for a Healthy Oregon Initiative, which enables students to address health care disparity in the state. 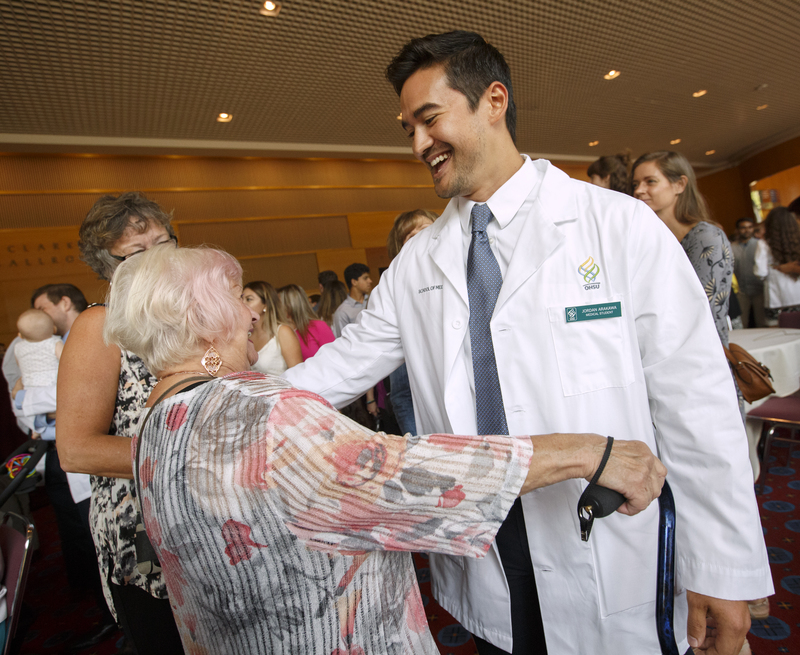 Kasten-Arias plans to stay in Oregon and serve underrepresented patients here.